Kujiale is already crowing in the world of cloud rendering in home design and furnishing. It also has begun to seriously consider sailing overseas, but how will they conquer the world beyond the sea? Founded in 2011, Kujiale (酷家乐) had completed 5 rounds of financing already, secured accumulatively USD 130 million. Major investors include Linear Venture (线性资本), which focuses on early staged high tech companies in intelligence and big data; GGV Capital (纪源资本), which mainly backs up for companies in internet, digital media, cloud computing and SaaS; As well as foreign investors such as Hearst Ventures, which fuelled a large sum in real estate related companies in the past; IDG capital, invested in many well-known Chinese enterprises like Baidu (百度), Tencent (腾讯), Kingsoft Cloud (金山云), iQiyi (爱奇艺) and accompanied many of them to successful IPO. Most of these investors have homogeneous investment interests in enterprise service providers and companies in the SaaS field. 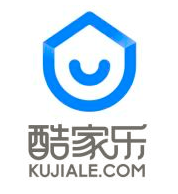 Kujiale provides a cloud design platform engineered for the purpose of connecting global designers, home furnishing brands, interior decor companies, and homeowners, to establish an integrated and organized eco-system to remedy the existing defects in China's home furnishing industry. With advanced technologies in cloud rendering, cloud design, BIM, VR, AR, AI, etc. Kujiale has promised its customers with "what you see is what you get"; Kujiale also endowed them with the luxury 360-degree viewing experience. The platform brags about the rapid generation of an entire home decoration plan in 5 minutes, home improvement renderings completed under 10 seconds and VR solution within one click. Kujiale platform has already generated nearly 400 million home renderings with an average of 1.5 million renderings per day; Approximately 200,000 sets of home design plans are generated every day, and cumulatively, exceeded 60 million. The company achieved 1400.0% growth rate in the third year after its incubation and reached revenue of USD 44.58 million in its 5th year, registering a 200% growth rate. The company also launched its international expansion plan and debuted its international version platform named as KOOHOM from October 13th to 17th in 2018 in The High Point Market, the largest home furnishings industry trade show in the world, signifying its steps towards global expansion. Though the company had shown impressive performance in the past few years, it was not a comfortable period to go through. The internet interior design and home furnishing market had been undergoing a significant downturn in the past few years, the number of internet home furnishing companies successfully received investment fund decreased from 123 in 2015 to 19 in 2017. The market caught a high fever when the Chinese government launched "Internet Plus" in 2015 and then started to slowly cool down from 2016. Kujiale had a very strong performance during the period when the market was at its high time, and then showed a decrease in revenue growth rate in the tough time. Kujiale survived the dangerous period. It was quite astonishing that in 2018, only Kujiale among all China's internet home design companies succeeded in a fresh round of financing. But the future in China does not seem to offer comfort at all. Facing the future, how to fight the coming battle? The Chinese government will for sure continue to strangle the real estate market, in order to offer convenience and cost-effective housing options for the public. The good news for the general public, however, would be the funeral toll for the teething phased real estate related companies with insufficient expertise, experiences, resources, and competitive edge. Nevertheless, Kujiale, with its fashionable VR, AR and cloud rendering technologies, does not have too much to worry about. After all, being the world No.1 in a field allows them lots of time for relaxation. Even though Kujiale would still look like a champion in the coming fierce battle, the company is not resting on its success. It announced its global expansion plan last year, followed by its international version's debut later. Though its international version KOOHOM is still at its infant stage, with a lot fewer features offered on it comparing to its counterpart in China, the company is clearly trying its hands in the foreign water. Kujiale has successfully launched strategic cooperation with manufacturing companies like Ingosoft (因格) which could provide online home design platforms the goods they offer on their platforms. The company so far has cooperated with three manufacturing bodies to realize the seamless connection between design and production and promote the intelligent production process in the home design industry. Kujiale also cooperates with offline stores of famous home design brands such as Fotile (方太) and Dulux (多乐士), empowering home design companies to adopt new marketing strategies, new content, and new management models. Interior designers could send discount coupons to customers who favor their services and serve as a bridge between customers and home design brands by leading the customers to the offline stores these brands are operating, this is called "Buy at the store" (到店购). Home furnishing brands could, therefore, receive promotions and recommendations from interior designers, hence sales growth, also the scheme contributes to customer adherence to the interior designer him or herself as well as the home design brands, except offering a comfortable shopping experience for the customers and the luxury of being able to touch and use the products at stores. Also, in the next three years, Kujiale will invest USD 14.86 million to build the world's largest virtual library of home design goods with the support from home furnishing companies, so that the goods around the world can be accessed to the owners no matter where the owners are, which offers convenience to homeowners around the world. Kujiale, an online information and design platform, offers information and reviews on businesses related to home decoration and furnishing.